Ideal for use in the home or the office, this versatile desk can be adjusted in just 3 seconds, allowing you to vary your position throughout the day and combat the health risks associated with too much sitting. 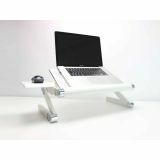 The Desk works effortlessly with your existing furniture, requiring no assembly, and can be adjusted at multiple levels. The Standing Desk has a two tiered design, allowing for dual-monitor setup and has plenty of lower deck space for a full-sized keyboard, mouse and more. 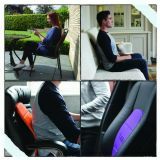 Prevent slouching and improve your posture with our Posture Brace. 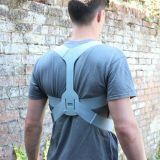 Lightweight (Only 154g) & discreet, the revolutionary Posture Brace pulls the shoulders back and straightens the spine to instantly improve your posture. 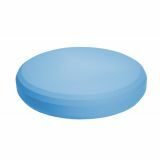 It's easy to adjust for a perfect custom fit and its cushioned 'soft-feel' spine makes it comfortable for everyday use. The Posture Band improves core strength by adding resistance to your daily routine and workouts. Fantastic lightweight & portable. Durable design for any fitness level, the band allows you to exercise optimally with flexibility and core strength benefits. Approved by the London Spine Clinic, the Band has the function to improve overall health by providing great physical benefits to the user. 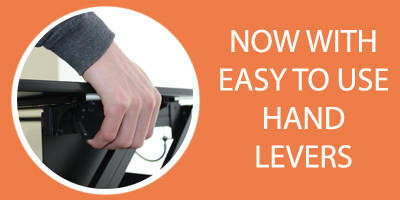 Improve your posture and comfort when sitting with the Backboard. Reduce the stresses and strains that can occur from poor posture. 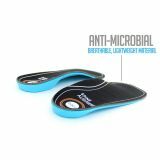 Its flexible construction allows it to be bent into any position, meaning it can be specifically tailored to fit the curvature of your spine.